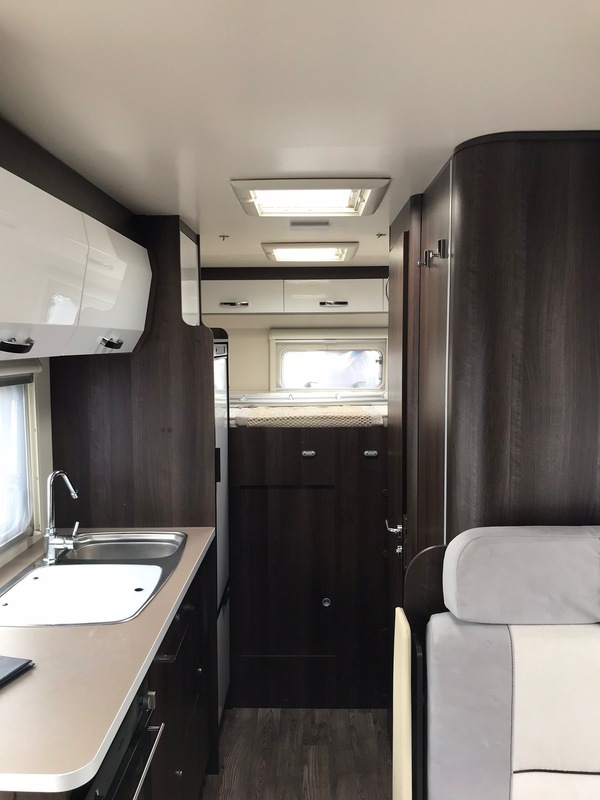 The Roller Team 690 Zefio is a 6 berth motorhome, however its ideally suited to a family of 4. It has a fixed double bed at the rear and a large double bed over the drivers cab. The seating area can fit 6 people, but its ideal for 4. The Kitchen area has a hob, oven, fridge frezzer. 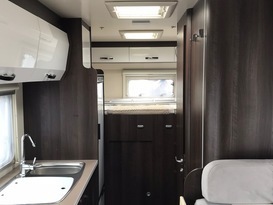 The bathroom has a toilet, sink and shower and in addition the motorhome has central heating and a garage. The bike rack and awning can be used and your vehicle can be safely stored indoors during the hire period. - Not to be used at any trade event to store stock in transit.